Each point of your thesis should be a page or two of your paper. First of all, begin by answering each essay question in your own words. How did laws reinforce social status? Did violence play a role in enforcing these new ideas? How? How did these forces curtail or expand the agency of different segments of colonial American society? Did race, class, and gender work together to create and sustain a social and political hierarch in the American colonies? How? Laws and punishments tried to prevent people of different races from having relationships and social interactions. How did violence play a role in enforcing these new ideas? A person’s race determined the type and intensity of violence that they experienced. Law and violence was geared towards controlling enslaved African Americans, and destroying their independence. White men had expanded control over those laws and punishments. How, then, did race, class, and gender work together to create and sustain a social and political hierarchy in the American colonies? Violence and punishment was based on the person’s race. A person’s class was based on their race and gender. White women’s sexuality was regulatedand their actions symbolic of a successful social order. White men controlled the bodies of enslaved African Americans and white women through the use of laws and violence, creating a society in which a person’s race determined different classes. You can also take the final question and create a sentence. The social and political hierarchy of the American colonies was based on the laws, violence and interactions experienced by people based on their race, class and gender. 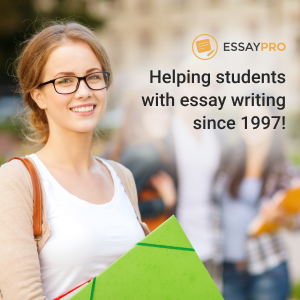 A thesis statement can also be several sentences. White men managed the bodies of enslaved African Americans and women through the use of laws and violence. As a result of the different experiences of slaves and women, a class system developed based on a person’s race. In the American colonies, race determined a person’s class in society. A person’s class and gender dictated the laws and violence that they would be subjected to in colonial society. Race, class and gender impacted the social and political hierarchy of the American colonies. *This statement does not answer how race, class and gender impacted society. White men controlled enslaved African Americans through the use of violence and laws that limited their agency. *Need to also include race and class in the statement. Race determined the colonial system of class on race, with enslaved African Americans treated with violence. Also, men determined the actions of women, who were also considered low class. *Statement is not concise. Need to connect all three (race, gender and class) as working together, not as two random thoughts. Power in North Carolina was divided along lines of race, class, and gender as laws were implemented to ensure that poor whites and enslaved blacks were kept separate. *The three instances of passive voice obscure the historical agent.